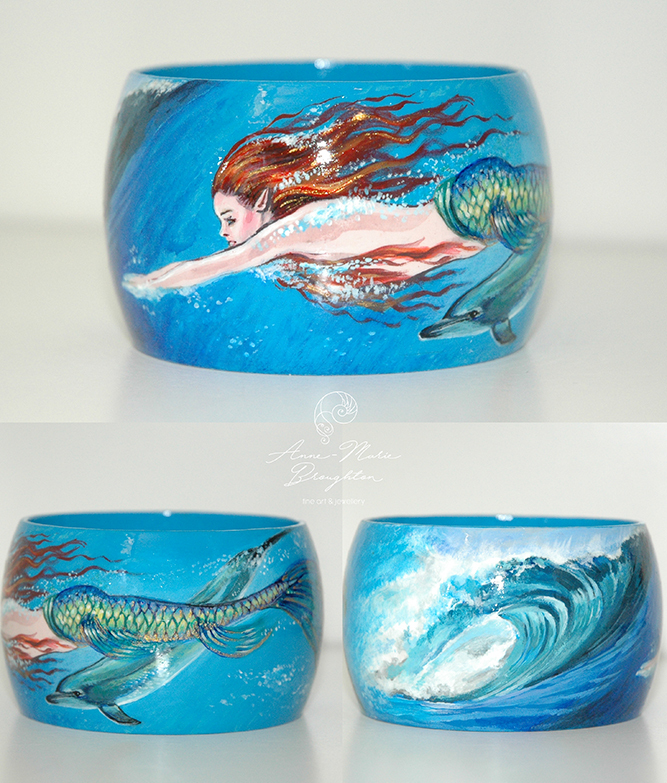 My name is Anne-Marie and I grew up on Eyre Peninsula, in South Australia and I love to paint mermaids in my spare time. 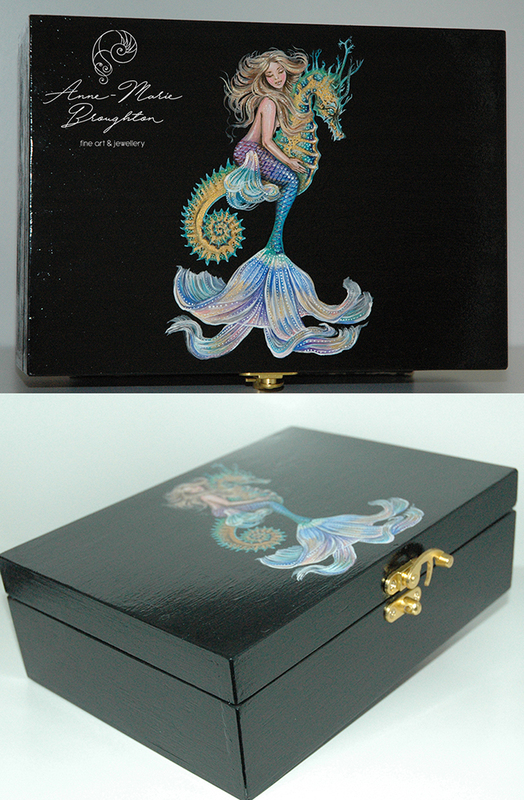 I paint using acrylics on wood, shells and semi-precious stones, creating unique mermaid bracelets, boxes and pendants. 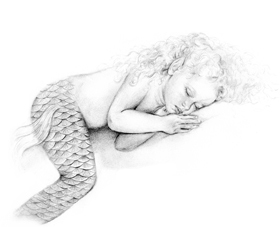 I also love drawing mermaids and other fantasy creatures using graphite and colour pencils. 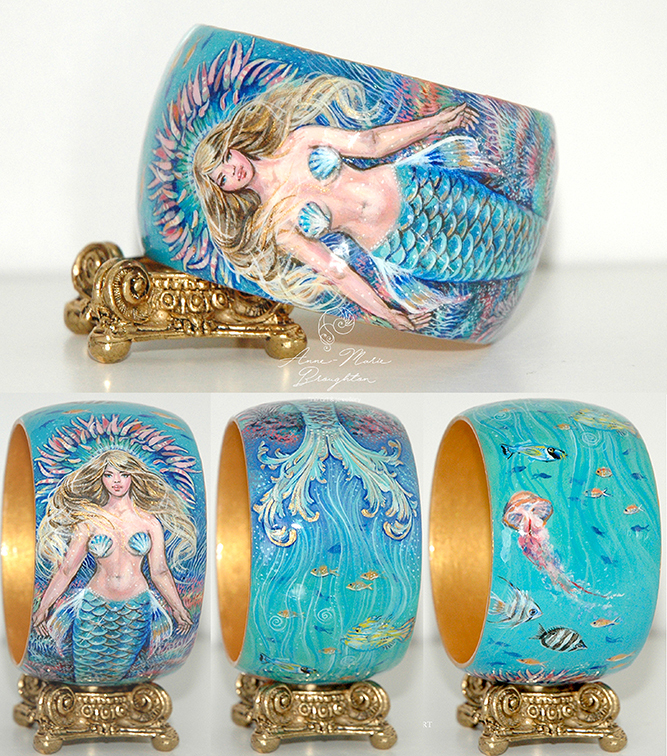 I love the uniqueness of hand painted jewellery, that it has been made by someone with passion and dedication and an original idea has been brought to life, you can hold it and admire it, and it seems to have it’s own inner soul because it has been made with love and care. I put a lot of my love into each of my hand painted pieces and I feel as though each one has a little piece of my heart inside it. I hope you enjoy looking at my paintings and drawings on this site. If you would like to see what I'm currently working on, you can follow me on Facebook, where you can see each new hand painted item as it is created. Unfortunately Custom Orders for drawings and paintings are currently closed and I don't think I'll be taking on any orders in the near future while I focus on my own creations. 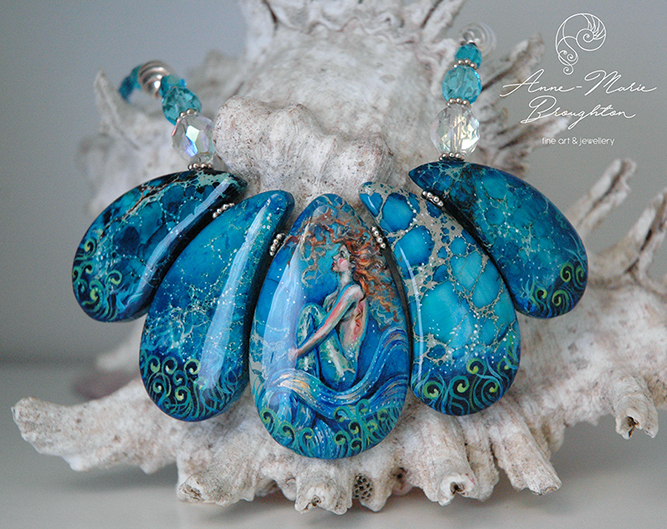 If you would like to be notified of upcoming mermaid pendant and mermaid bracelet sales, please go to my art jewellery page and complete the VIP Email Subscription Form. As I have so many requests I cannot contact you individually to notify you of new items for sale so the best way to stay notified is to join my VIP Email List and/or follow me on Instagram or my Facebook page. Generally I have a jewellery collection sale 3 or 4 times a year. As I only paint in my spare time I don't have a lot of items for sale and they usually sell out quickly so there are not always items available to buy in my Etsy shop. As a painter I like to create new original one of a kind interesting artworks and generally I do not like to reproduce old artworks or previous paintings. All art prints in my Etsy and MadeIt shops are available in 8x10 and 11x14 inches only. Necklaces are approximately 45-55cm in length and include an adjustable 7cm extension chain. Length will vary depending on the pendant height. Pendants sizes vary from approximately 5-9cm in height. Please see individual listings for specific size information in my Etsy shop. All prices subject to change without notice. Last updated December 2018. Prices are listed in Australian dollars. 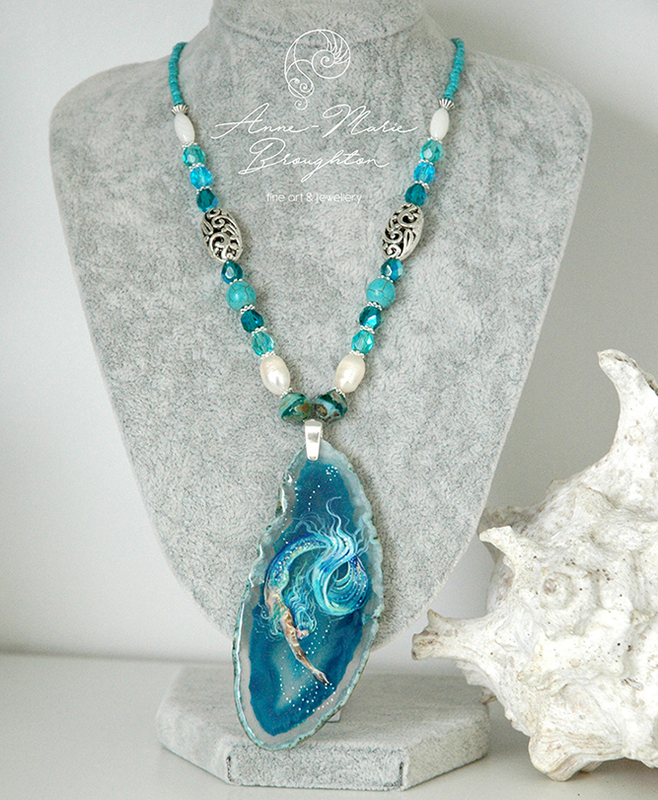 From time to time I may have different styles of pendants available, including Polished (mother of pearl) Shells, Polished Abalone Shells and semi-precious stones such as Agates, Sodalite and Jaspers. These pendants will vary in size, from 5-9cm in height. Necklaces are hand beaded by me with a variety of beads to complement the colours of the pendants, I like to use Czech fire polished faceted beads, freshwater pearls, filigree metal beads and lampwork glass focal beads. 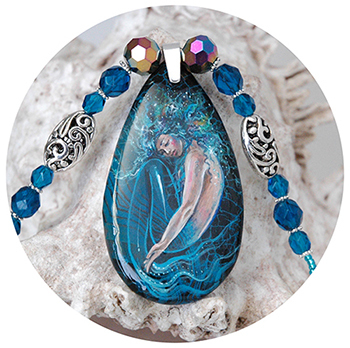 Handpainted art pendant necklaces and bracelets are sealed with high gloss lacquer which is water resistant but it is not recommended to wear them in the shower or whilst swimming. Do not let water sit on the surface for a prolonged period or immerse in water as this could turn the lacquer cloudy. 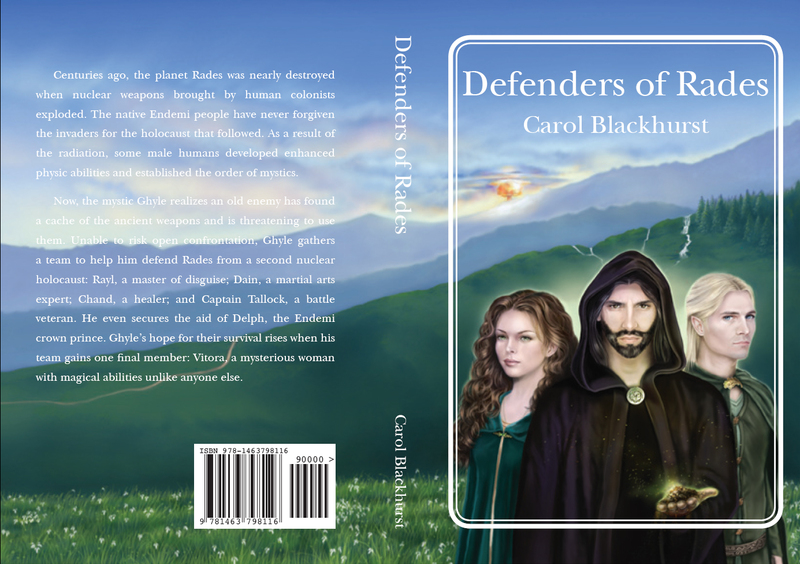 I am located in Australia and postage is only available to Australia, New Zealand and USA locations. Due to high import duties, taxes and unreliable tracking I do not ship to UK, Europe, Canada, Africa, Russia or other regions such as Asia. All orders are through my Etsy shop. Etsy accepts PayPal and Credit Card Direct payments. Guest purchase is also available. Please also note that as I am based in Australia postage to overseas countries such as USA may take from 2-6 weeks for delivery. Original art items are sent with tracking and insurance for any loss or damage in transit. 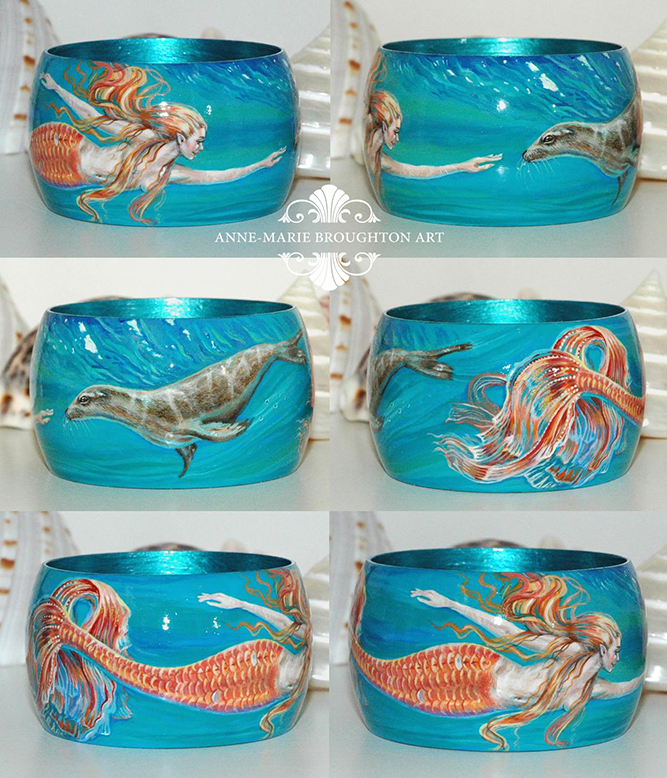 All artwork is Copyright by Anne-Marie Broughton. My artworks are made from my own original designs. I do not allow usage of my art designs for logos, social media/website branding, books, wood burning art, colouring pages, cross stitch, t-shirts, phone covers or other product lines, furnishings, decor, decoupage, crafts, ceramics, glass, metal, sculpture, jewellery, drawing, wallpaper, reprints or reselling in any way, or any other method of recreation, except through purchase of a license directly from me, the artist. Please do not use my artwork without permission. Please email info@annemariebroughton.com if you have any questions.